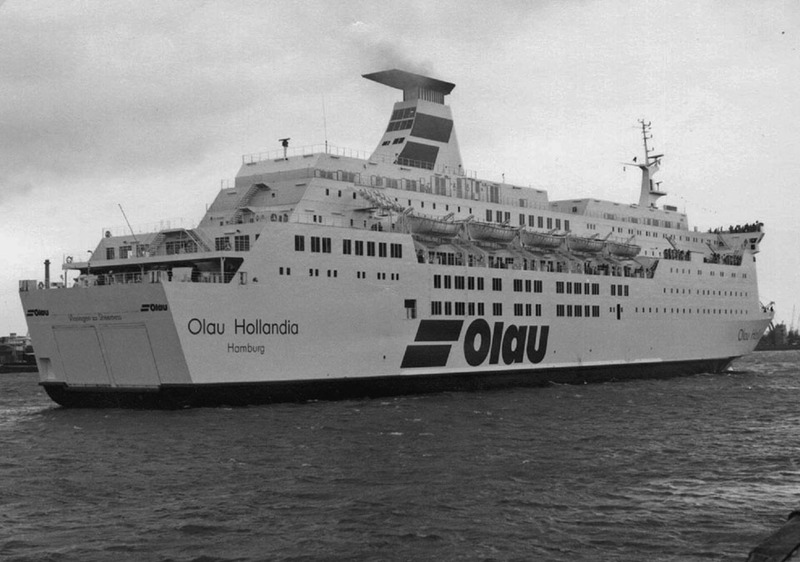 March 21st 1981: Delivered to Olau Line Ltd Co, Hamburg, Germany. 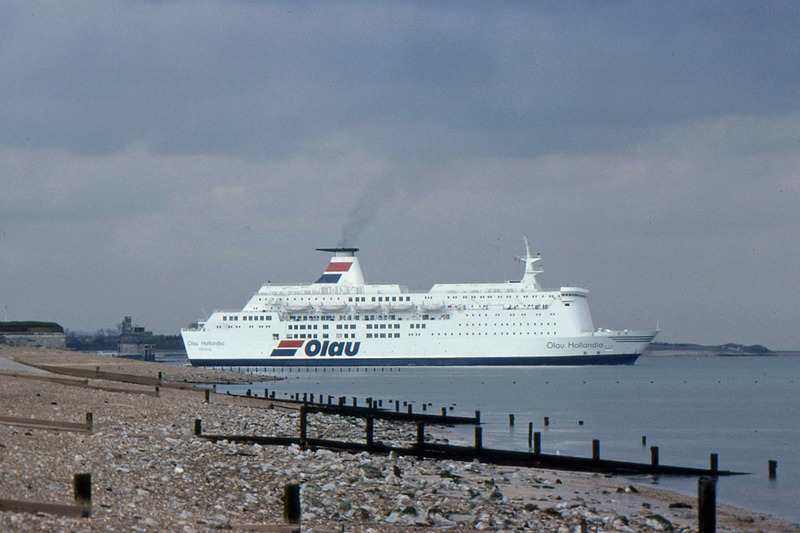 March 25th 1981: Commenced service between Sheerness – Vlissingen. 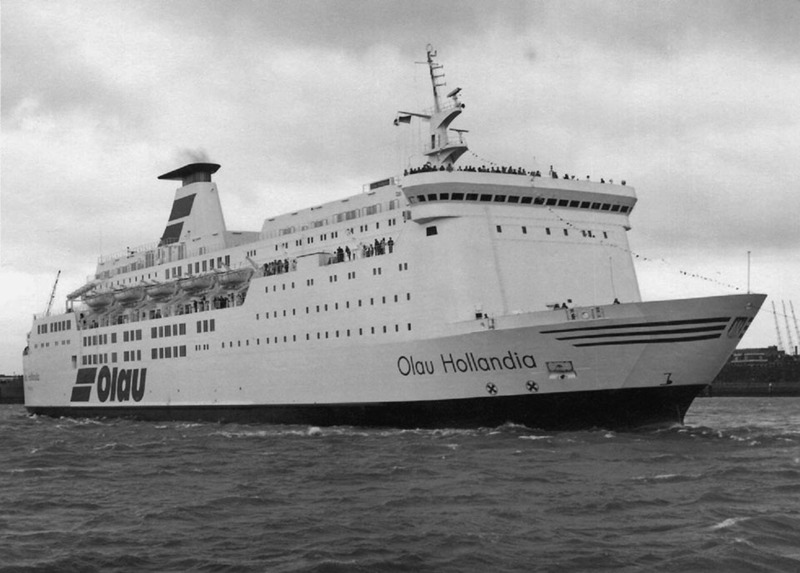 August 1989: Sold to Nordström & Thulin Ab, Visby for delivery in October 1989. Management; Johnson Baltic Traffic Management AB. 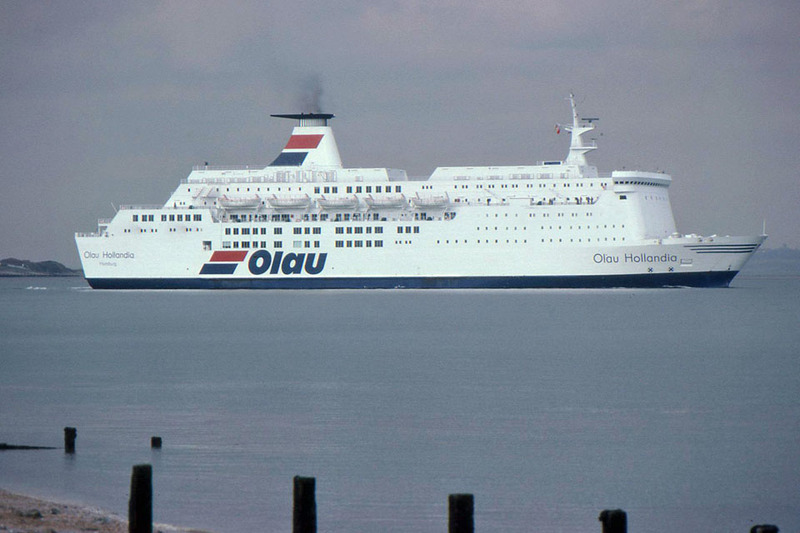 October 2nd 1989: Final day in service. 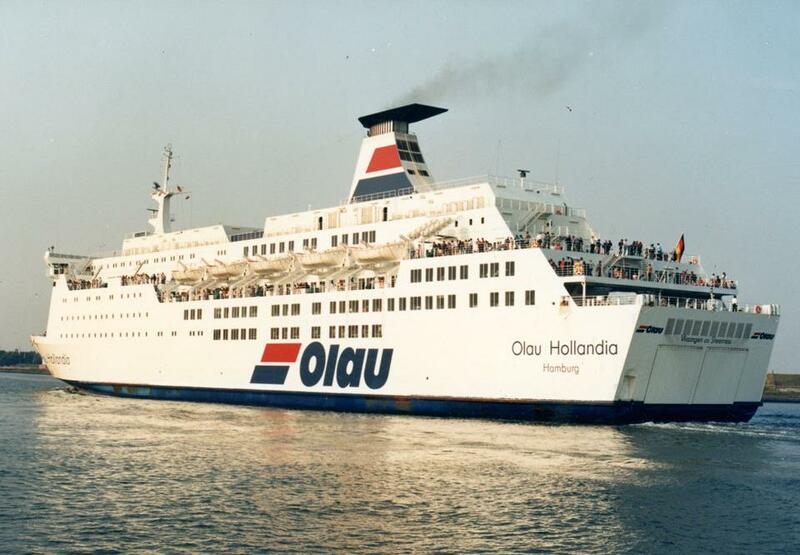 October 3rd 1989: Left Vlissingen for Hamburg. 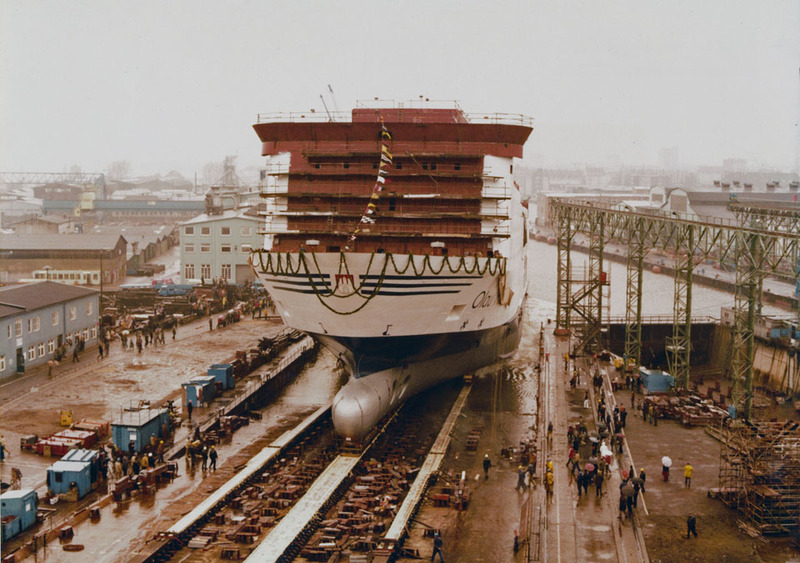 October 6th 1989: Arrived at Schichau Seebeckwerft AG, Bremerhaven, for re-registry and refit. 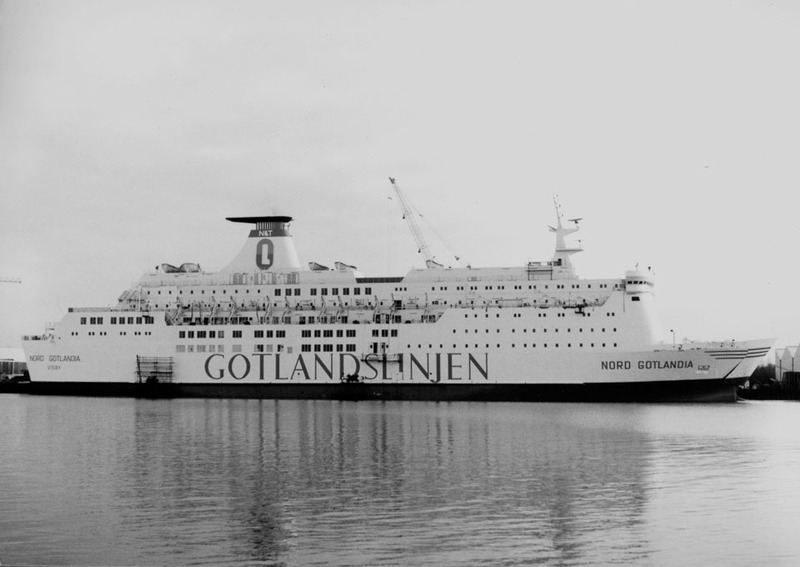 November 1989: Renamed NORD GOTLANDIA. 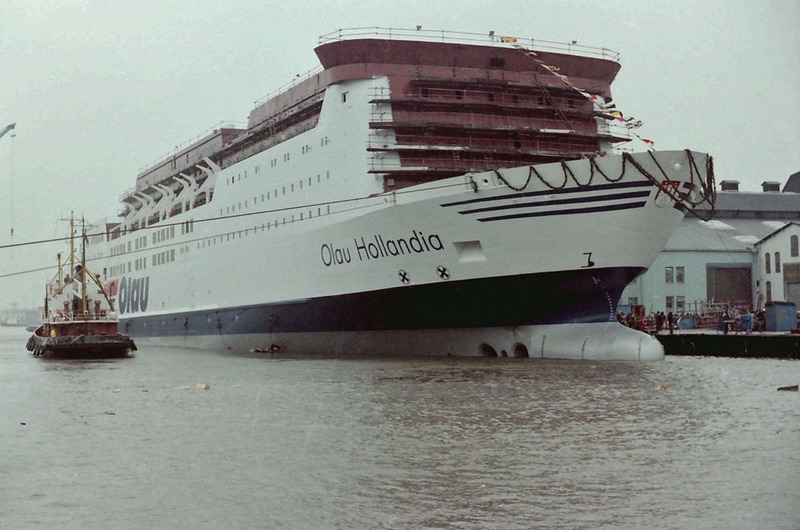 December 14th 1989: Left yard for Stockholm. December 20th 1989: Promotional visit to Stockholm. 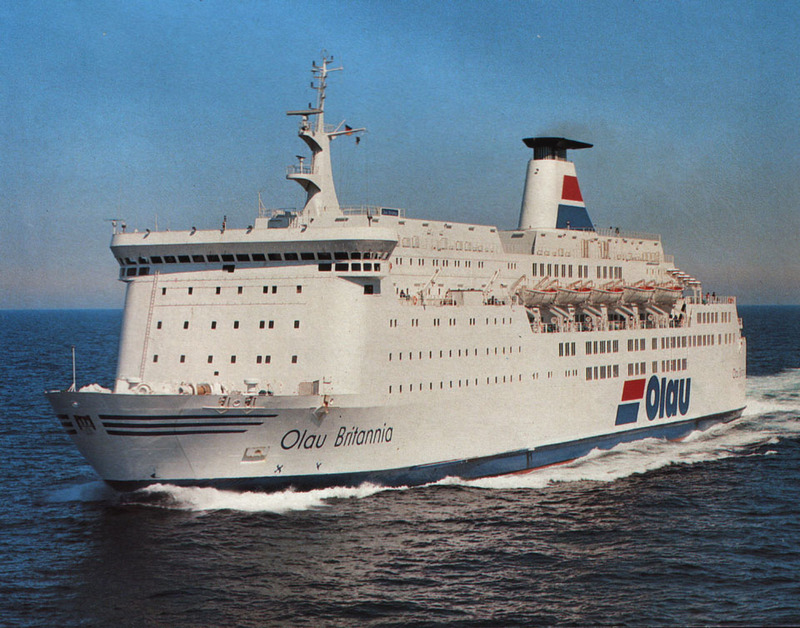 January 1st 1990: Commenced service Gotland – Visby, but immediately suffered from complaints as to her condition and overall state. 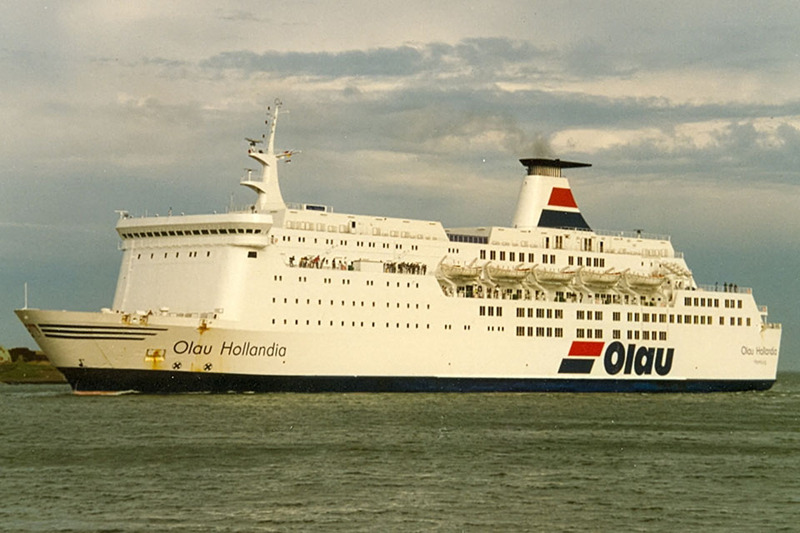 July 21st 1996: Suffered an engine room fire. 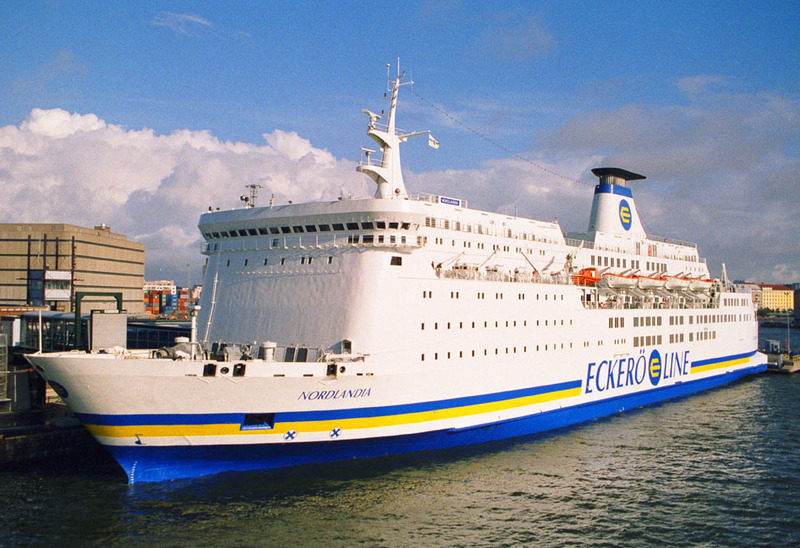 December 1997: Sold to Oy Eckerölinjen Ab, Eckerö, Finland for delivery in January 1998. 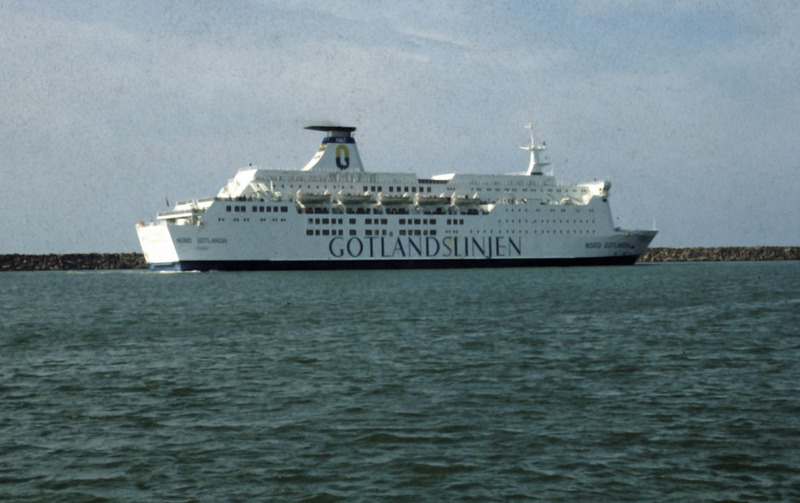 December 31st 1997: Final day in service for Gotlandslinjen. 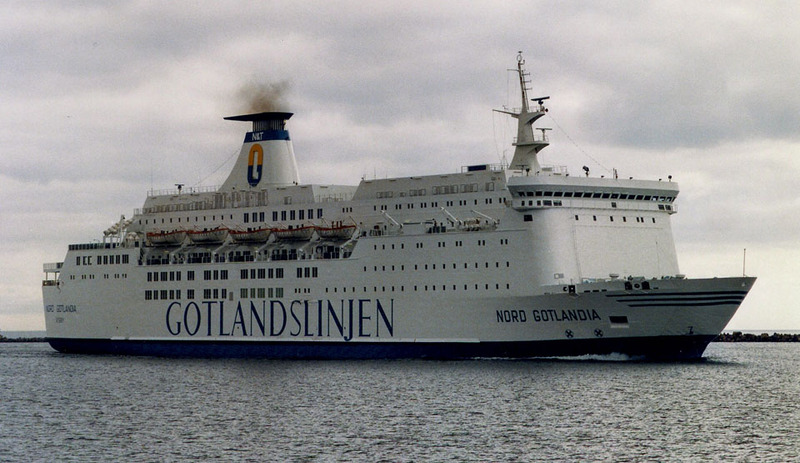 January 1st 1998: Left Visby for the final time as NORD GOTLANDIA destination Turku shipyard. 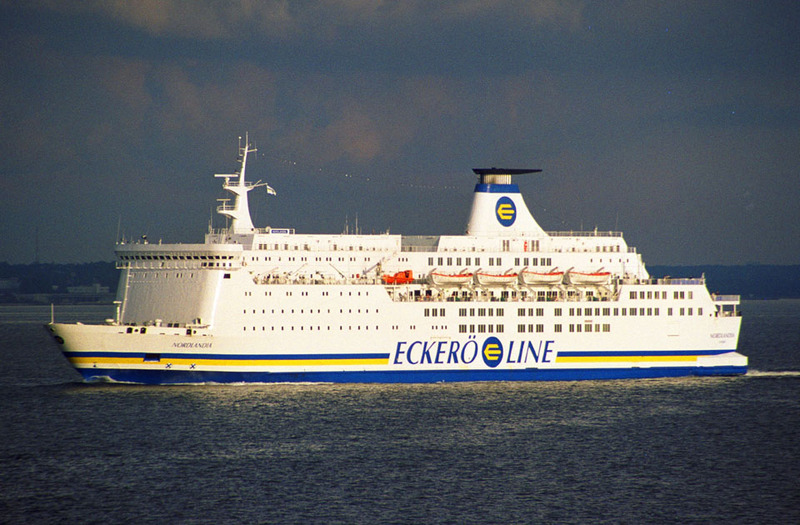 January 2nd 1998: Taken over by Eckerö Line. 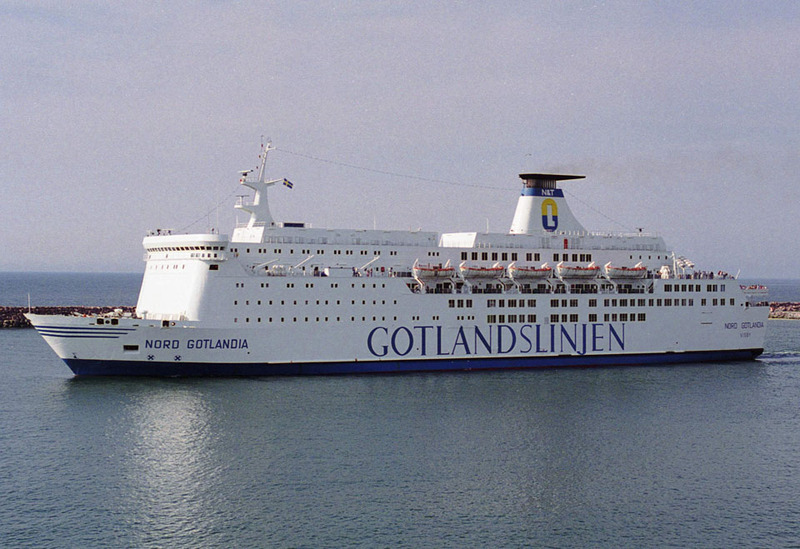 January 7th 1998: Renamed NORDLANDIA. 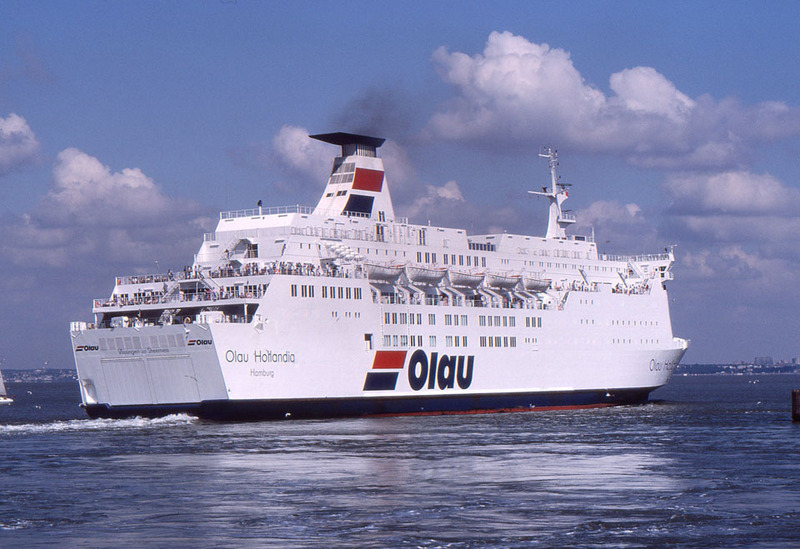 February 10th 1998: Commenced services between Helsinki – Tallinn. 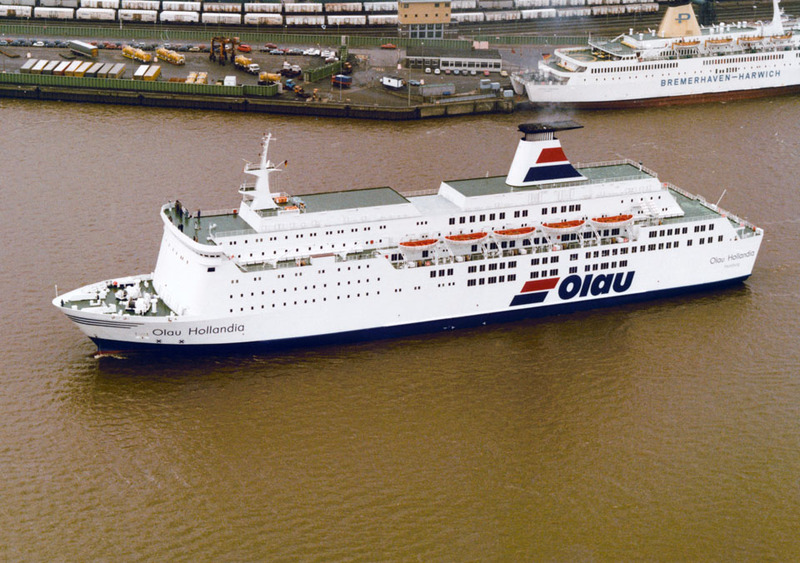 April 30th 2003: Helsinki damaged one of her propellers. 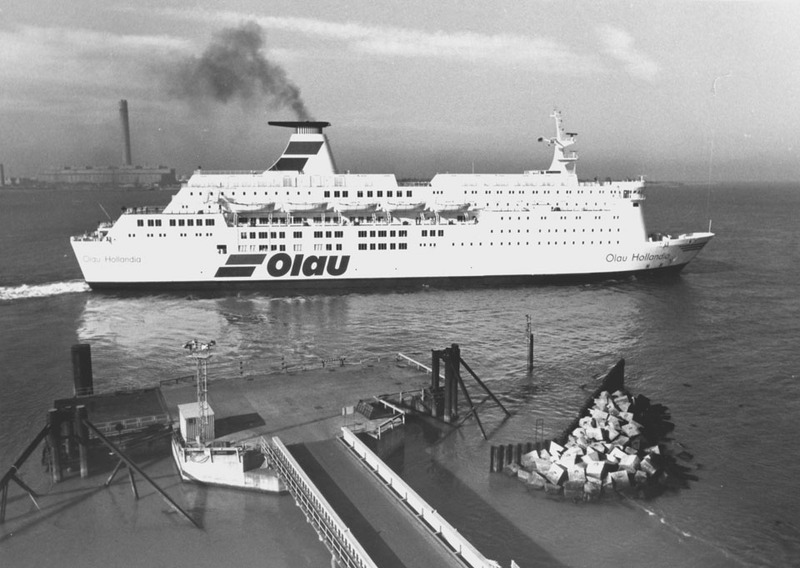 Taken immediately to Naantali for repairs which took five days. May 5th 2003: Returned to service. 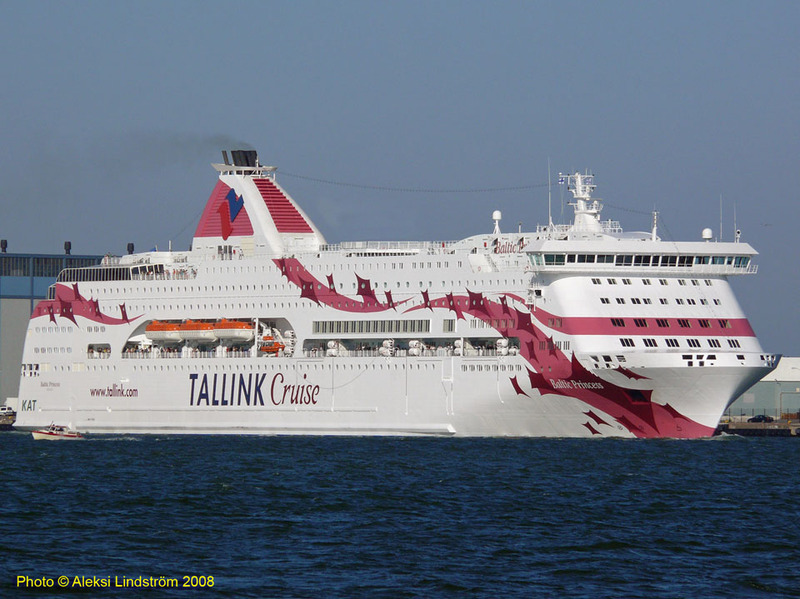 October 28th 2006: Tallinn, during a storm, rammed the quay resulting in a hole above the waterline. The damage was quickly repaired. 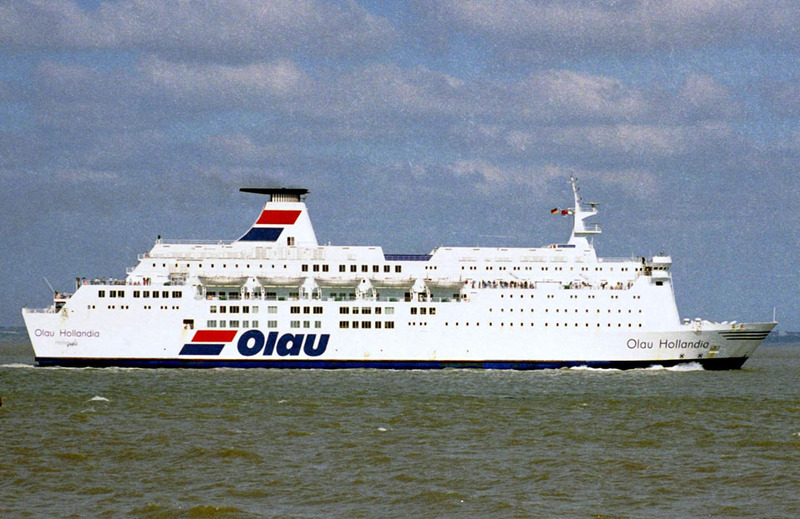 November 1st 2006: Returned to service. 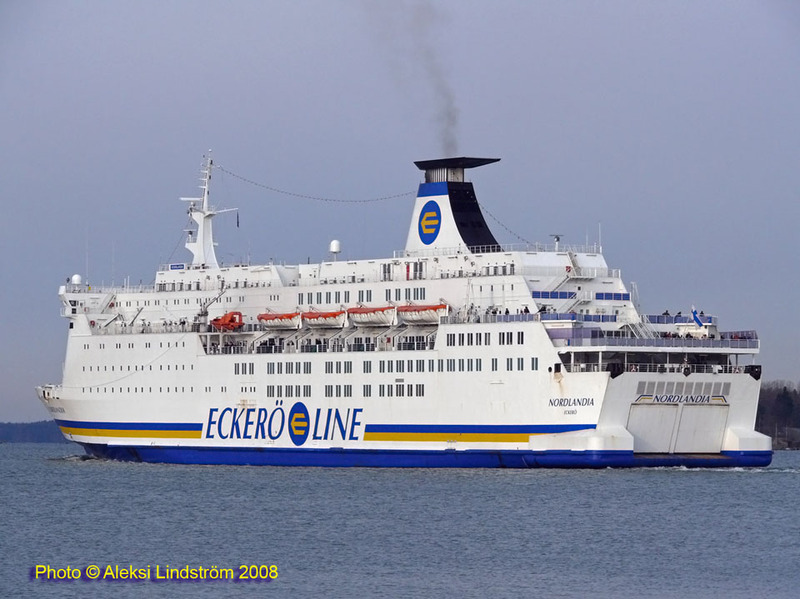 January 29th 2010: On a journey from Helsinki to Tallinn, got stuck in ice just outside Helsinki. 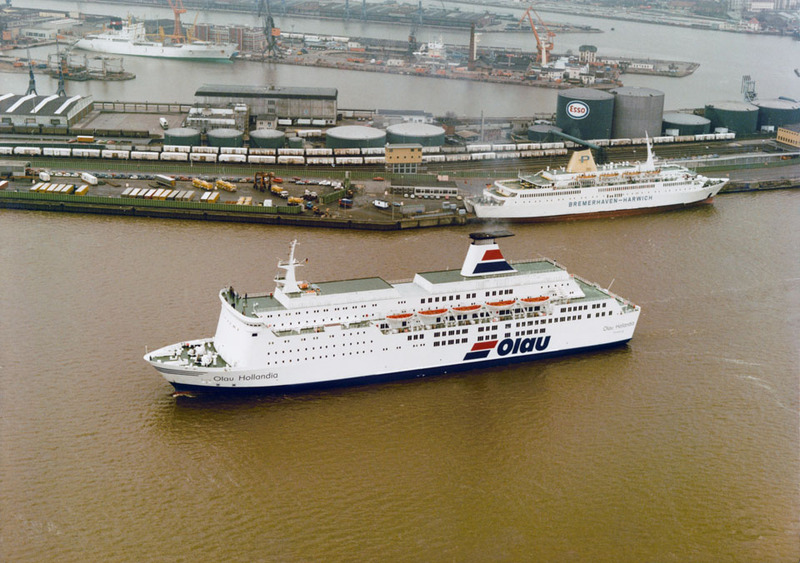 Stuck for 6 hours and aided by SUPERSTAR and BALTIC PRINCESS. February 12th 2010: Again stuck in ice outside Helsinki. Freed with the aid on an icebreaker. 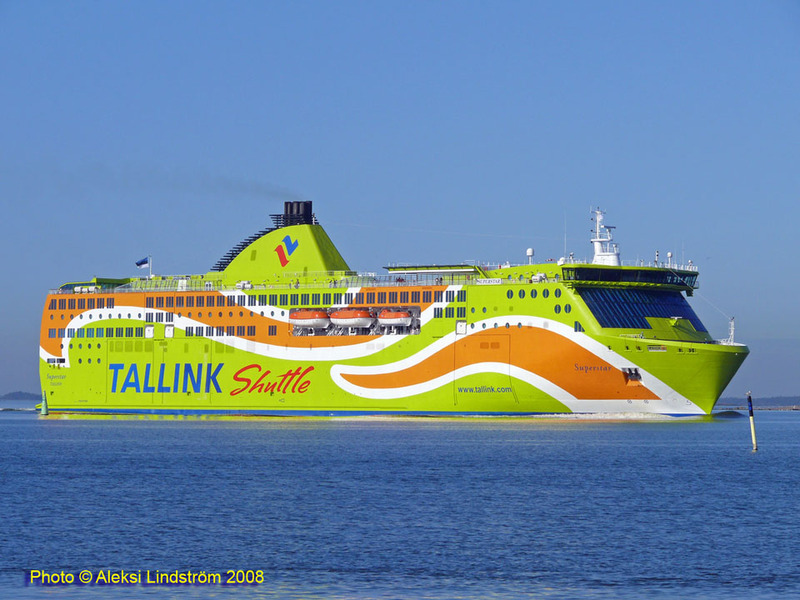 January 1st 2013: Final day in passenger service between Helsinki – Tallinn. 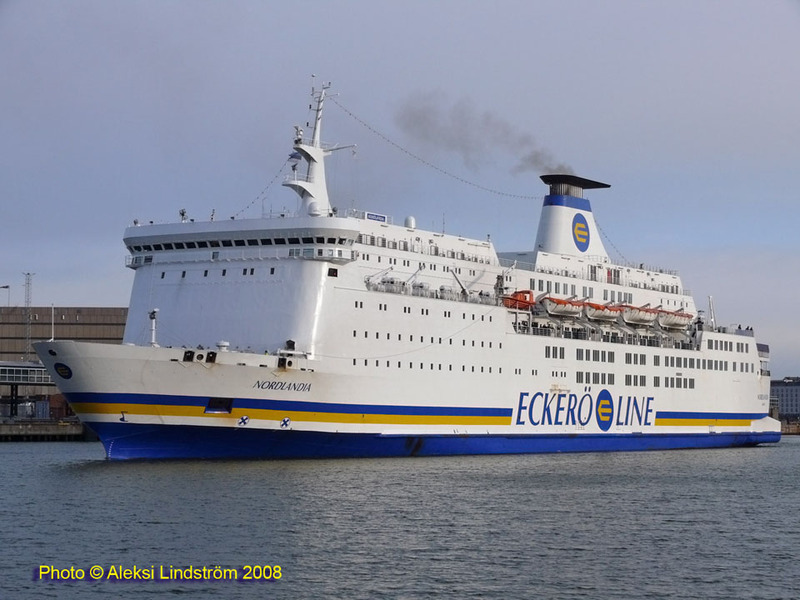 January 7th 2013: Cargo only between Helsinki – Tallinn. March 29th 2013: Taken out of service and laid up in Kopli, Estonia. 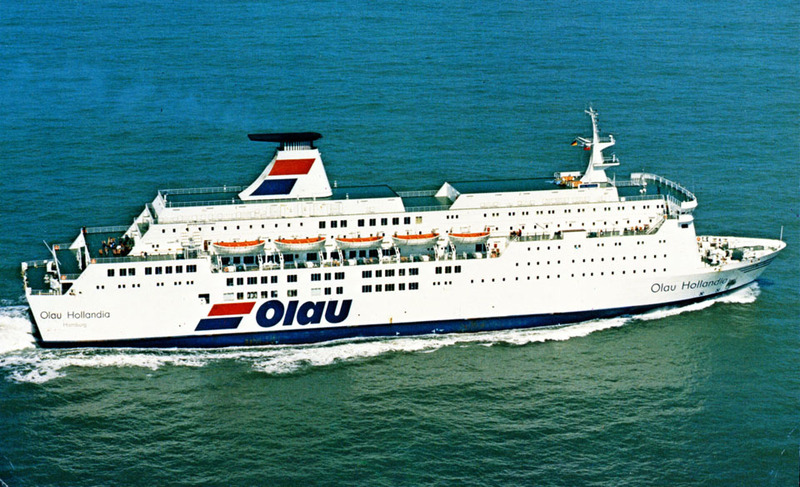 June 11th 2013: Sold to Isabella Cruise, Ltd, Belize and renamed ISABELLA I.
June 14th 2013: Left Kopli for Almeria. June 16th 2013: Bunkered outside Skagen. 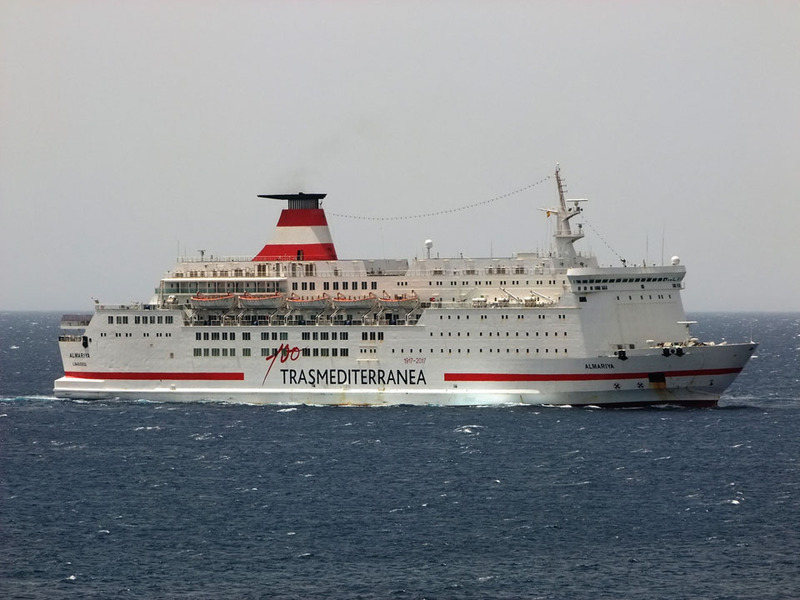 June 22nd 2013: Arrived at Almeria. June 2013: Chartered to Acciona, Spain. 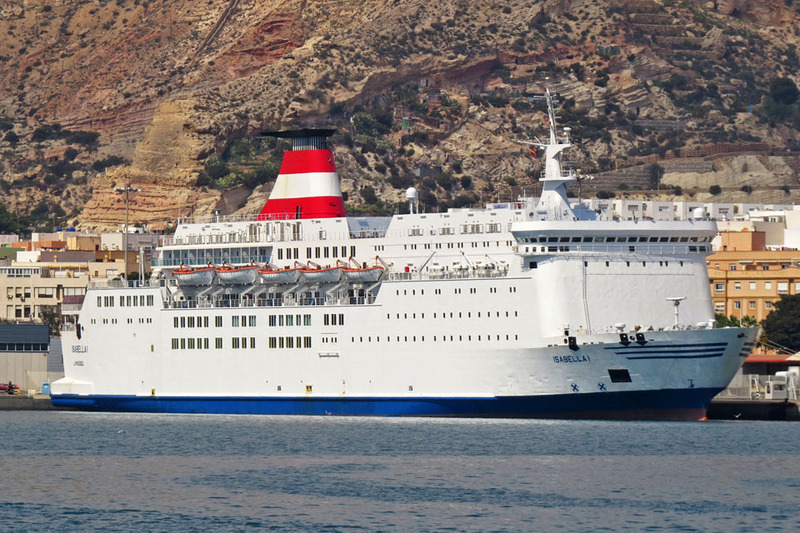 July 4th 2013 – October 2013: Services between Almeria – Nador. 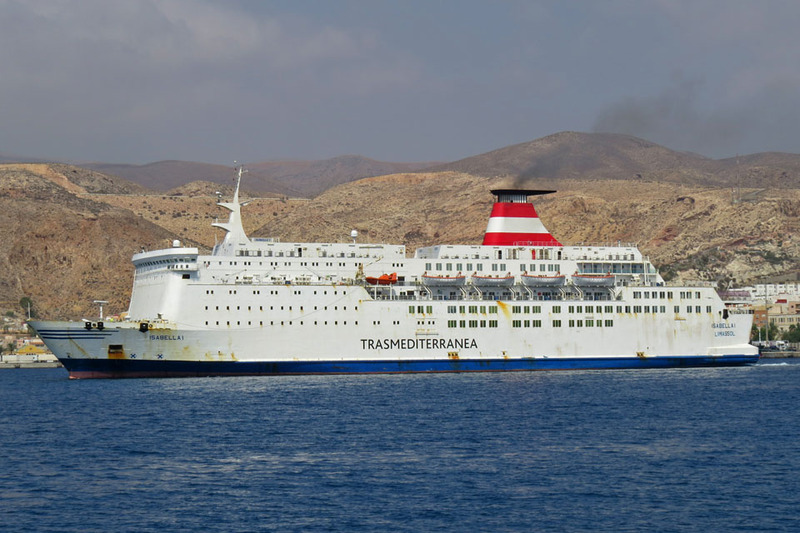 October 7th 2013: Arrived in Perama, Greece for refit. 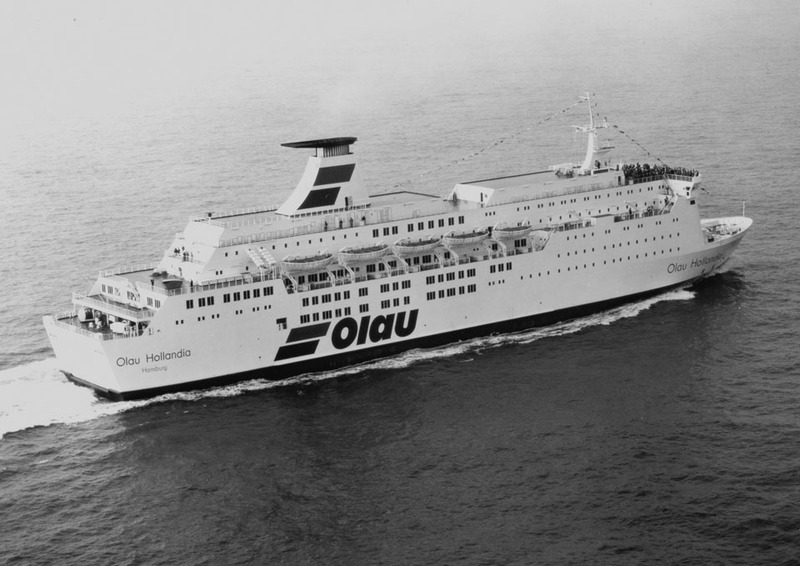 August 2014: Announced that she was to be chartered to Acciona, Spain which didn’t materialise. 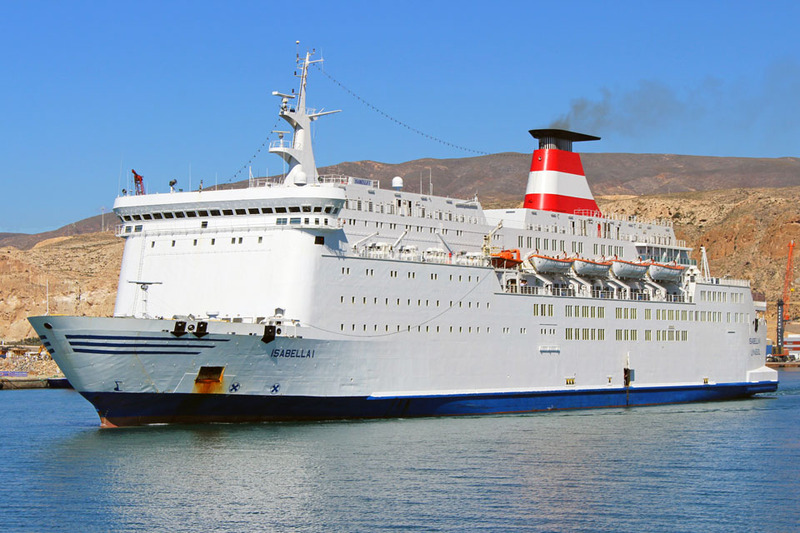 August 2014: Laid up in Eleusis Bay. September 9th 2014: Moved to Kinosoura. November 2014: Chartered to Paradise Cruise & Ferry. 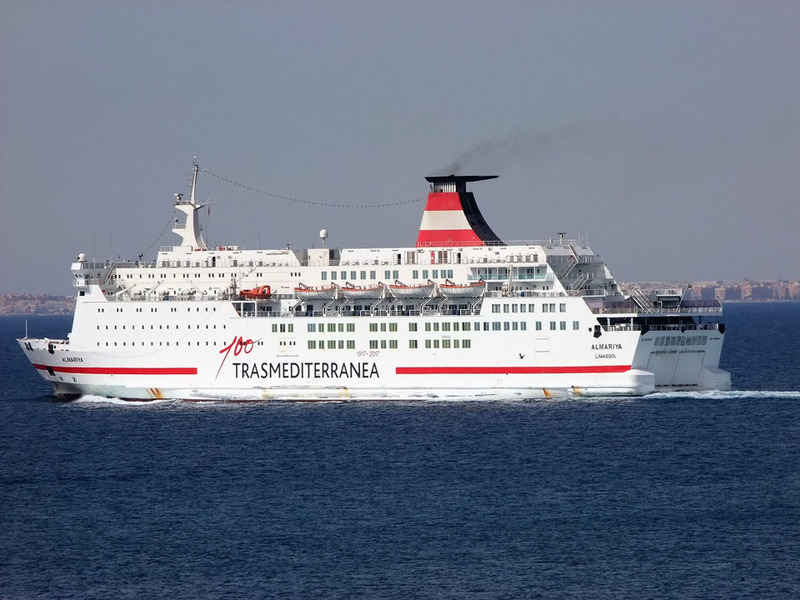 November 22nd 2014: Left Salamis Island for Batumi, Georgia. 2015: Chartered to Acciona, Spain. 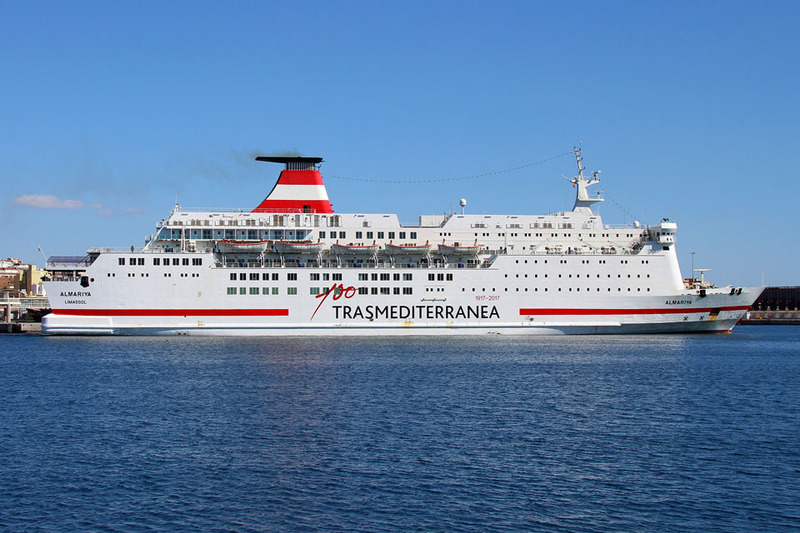 January 2016: Sold an unknown company in Cyprus and renamed ALMARIYA before being chartered to Trasmediterranea for services between Melilla – Almeria. February 2016: Registered owner – CIA TRASMEDITERRANEA SA – ACCIONA TRASMEDITERRANEA, planta 2, Edificio D, Calle de Anabel Segura 11, 28108 Alcobendas (Madrid), Spain. 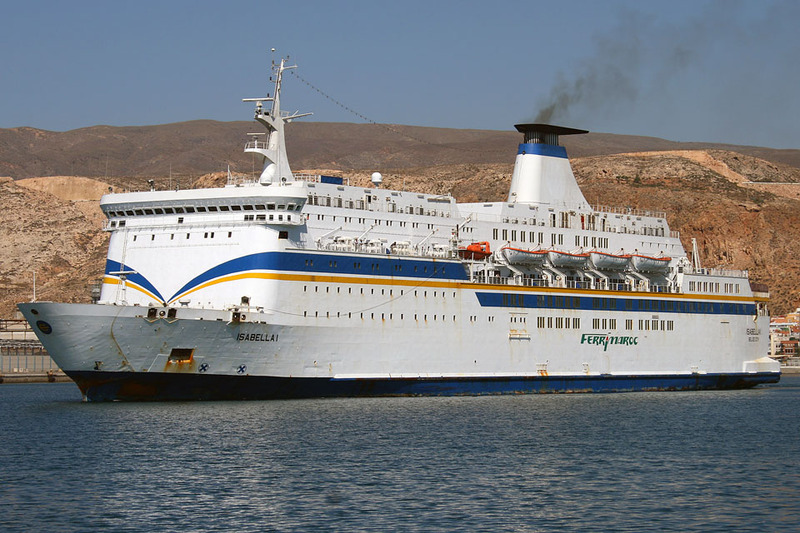 September 8th 2017: Engine room fire reported shortly after departure from Nador, Morocco. All information is believed to be correct and no responsibility is accepted for any errors or omissions. All items included in this article are subject to © copyright. We would like to take this opportunity of thanking: Mike Barker, Carsten Dettmer, Brian Fisher, Tony Garner, Ingvar, Pieter Inpyn, Ken Larwood, Juanfra Monzón, Ingvar, Simonwp and Andreas Wörteler for their assistance in producing this feature. A special thanks also goes to John Hendy.